Click here to download the checklist in Classic size. Click here to download the checklist in Compact size. 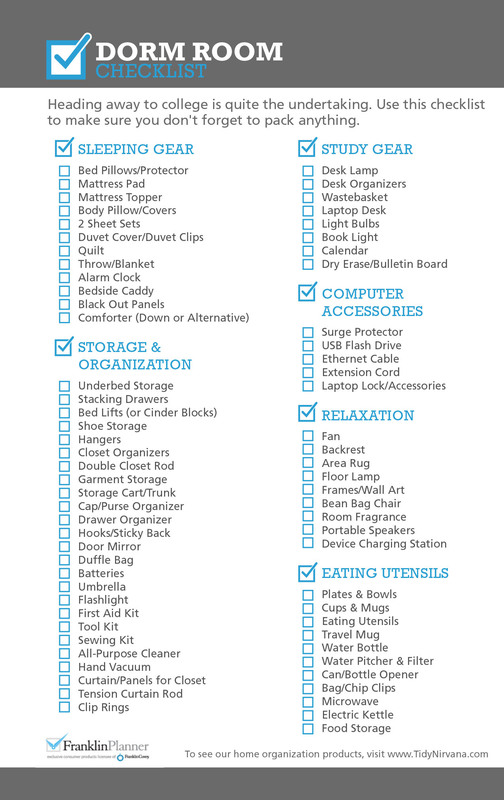 Click here to download the checklist in Pocket size. 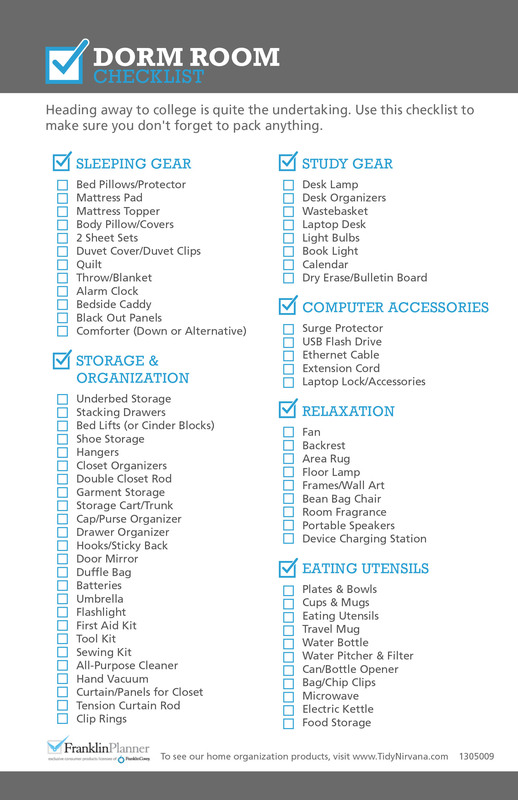 Thank you for your Dorm Room Checklist. It’s such a thorough list! Our weekend retreat group found it to be a wonderful help. This time around, we had zero (!) lost and found items – BEFORE we made our return trips home!